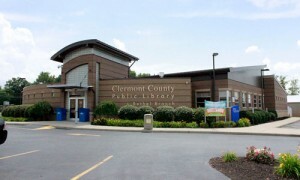 The Bethel Branch features the only drive-up window service in the Clermont County Public Library system and is within walking distance of the elementary and middle schools. Bethel’s first library opened in 1929 at the Grant Memorial Building and was managed by the Bethel Women’s Club. In the late 1950s, the Clermont County Public Library’s bookmobile also serviced the area. Bethel Village Council members in 1966 offered space in the Grant Memorial Building for a branch library. With a grant, the private library was transitioned into the Bethel Branch, which was open to the public. It opened Aug. 22, 1967. In 1985, the Branch moved to a former hardware store at 111 Plane St. The Branch relocated in 2005 to a new 10,000-square-foot facility at 611 W. Plane St.
How Well Do You Know Your Classic Children's Stories? Fantastic Beast of the Harry Potter World!